Run Townsville is excited to announced the inclusion of a 1km Cotton On Kids run for children aged 4-12 for the very first time. The specially-created event will include loads of fun on and off-course activities including clown jugglers, bubble machines and face painting. 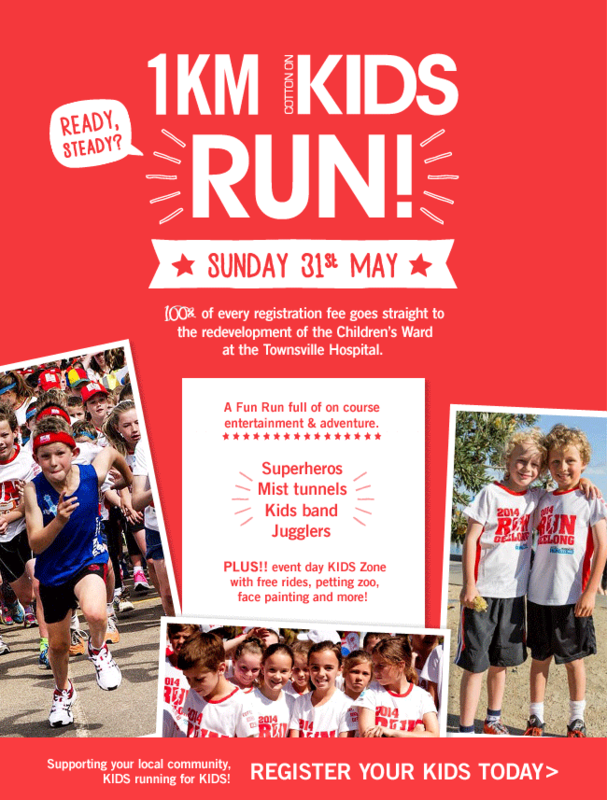 Every child will receive a FREE event t-shirt and 100% of their registration fee will still go straight to the redevelopment of the Children’s Ward at Townsville Hospital – so really it’s kids supporting kids! Other events include a 6km or 12km run and a 6km family walk.